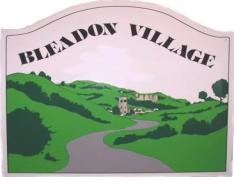 (Min 316.5) To Consider how to respond to the Planning Appeal regarding the proposed development of 200 homes on land between Bleadon Road and the A370. Comments to date will be taken into account by the Inquiry Inspector, who will also ask those present if they wish to speak. However, the Parish Council could request Rule 6 Status, putting it on the same footing as the Appellant and the Planning Authority. For Rule 6 it is recommended that a planning expert be briefed as cross-examination by the Appellant will take place. (Min 316.6) To Consider using Parish Council reserves to appoint a planning expert for Rule 6 Status. General Reserve £25,000.00, Special Reserve* £16,585.00 *this is a restricted reserve specifically for improvements in the parish. BOB asked BPC to "... add the North Somerset 'Local Plan 2036 Issues and Options' consultation to the next BPC agenda". Today, after the ExM had been called on 20 Nov 18, BPC responded stating, "The agenda for the ordinary Parish Council meeting of 10th December is in preparation and NSC’s Local Plan 2036 consultation is already an item. They will accept the Parish Council’s comments on 11th December. ", but will residents be allowed to submit their comments late too? What is the role of our Statutory Consultee if not to make residents of aware of issues or requests for public comments on highly influential consultations such as this, and give residents time to review the information and respond to BPC and/or NSC, before the deadline? Is it fair that BPC has been given 3 months and an extension to read and discuss a 96 page document, whereas some residents may only be aware of the consultation after the deadline? why BPC has chosen not to make residents aware of the importance of this consultation, through its agenda, minutes and recent newsletter, e.g. informing them of the potential review of Bleadon's Settlement Boundary and their right to respond before the deadline on midday on the 10 Dec 2018, regardless of BPC's decision to discuss or respond, [itself]?"